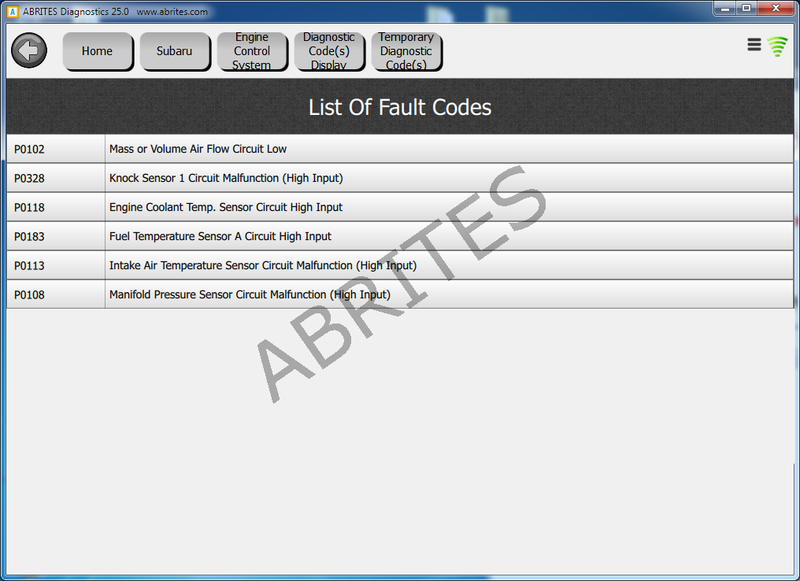 The new Abrites diagnostics for Subaru offers Subaru workshops a new – much easier and faster way to perform diagnostics on Subaru vehicles. 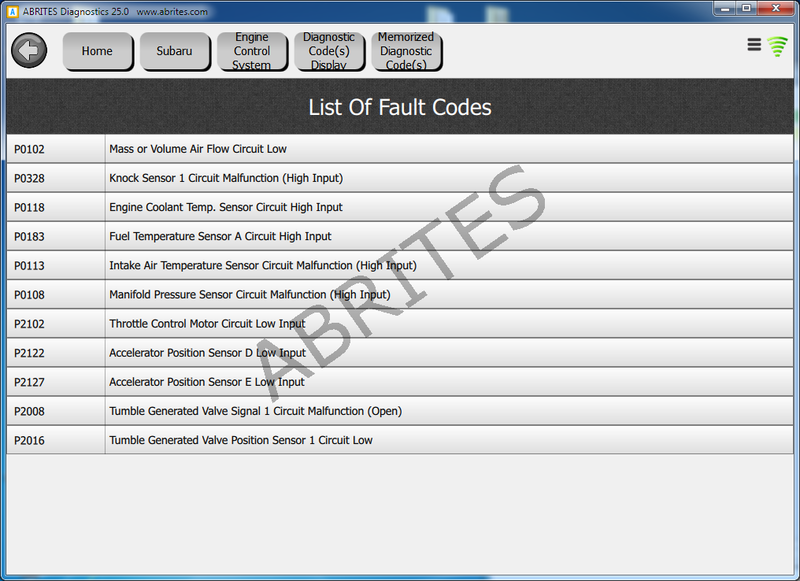 Based on the latest Abrites online diagnostic platform the Abrites diagnostics for Subaru offers outstanding performance even in comparison to the OEM tools. 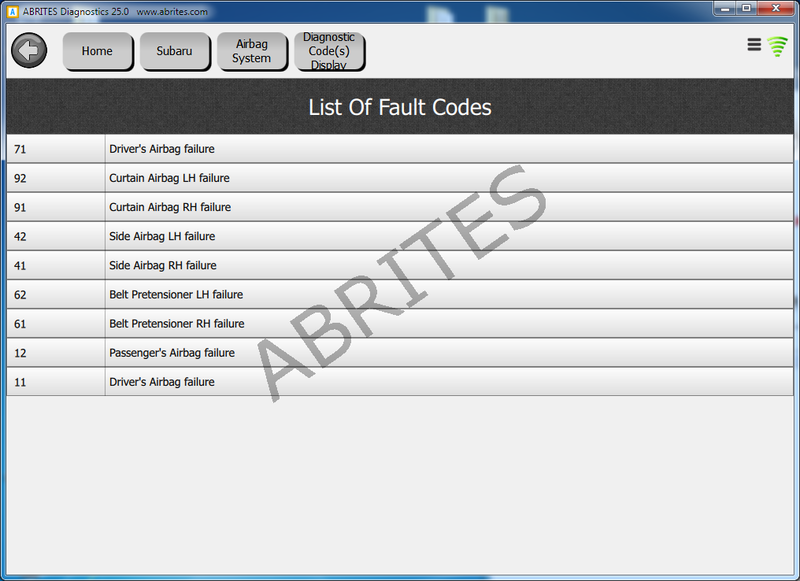 For the moment we have full diagnostic codes reading and clearing, live data and module identification for engine control modules (diesel and petrol powered; four and six cylindered; turbo charged and naturally aspirated) transmission control modules, ABS modules, Vehicle Dynamics Control System modules and Integrated unit control modules as well as other electronic modules integrated into modern Subarus, especially the ones produced after 2003. 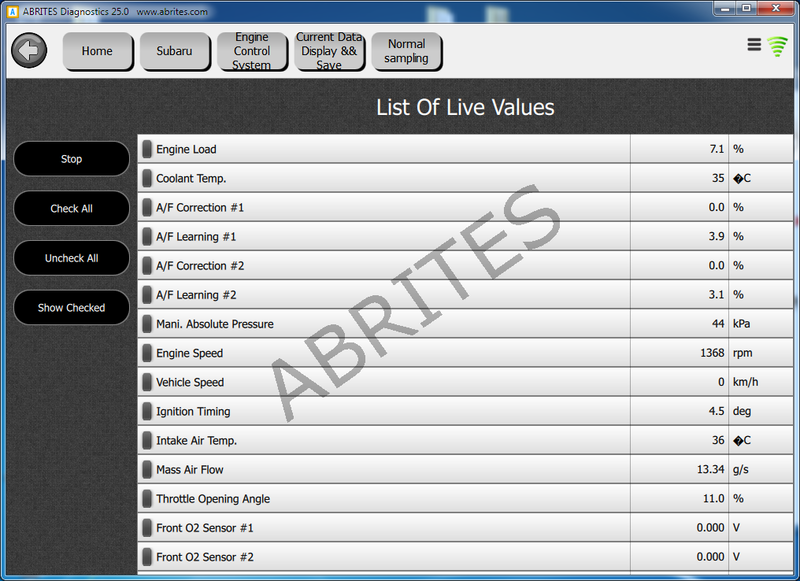 The new diagnostic platform developed by our team works exceptionally well with the Subaru vehicles. 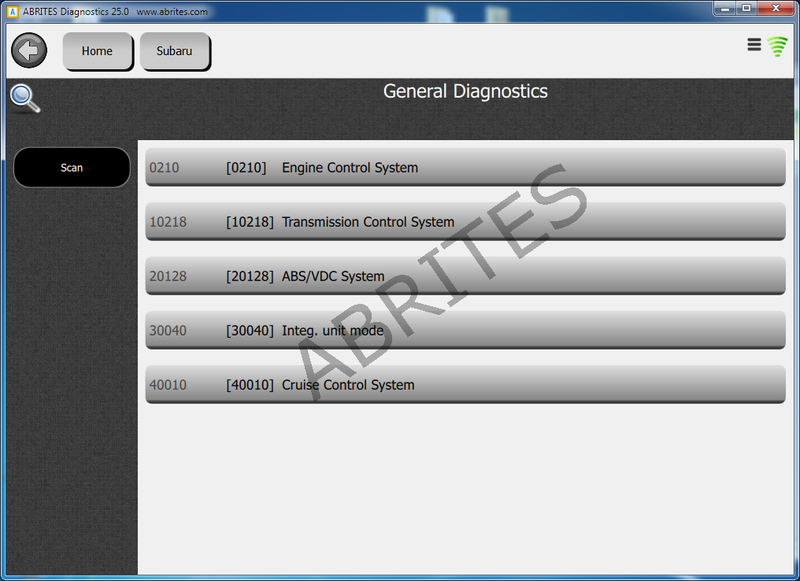 It provides the users with agility and speed never before seen in the world of aftermarket diagnostic software. Subaru workshops worldwide now finally have a true alternative and this is just the beginning – the development process continues.